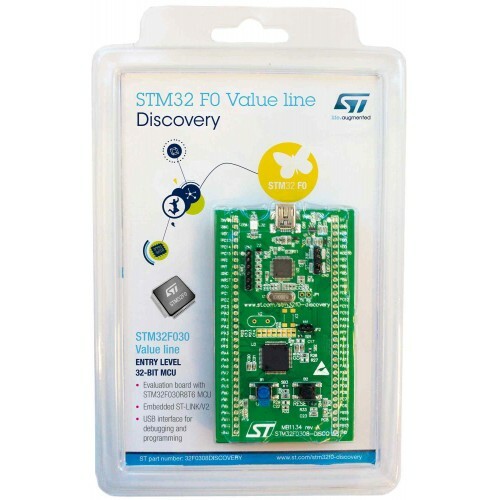 The 32F0308 DISCOVERY helps you to discover the STM32 F0 Value Line Cortex™-M0 features and to develop your applications easily. It includes everything required for beginners and experienced users to get started quickly. Based on the STM32F030R8T6, an STM32 F0 series 32-bit ARM® Cortex™ microcontroller, it includes an ST-LINK/V2 embedded debug tool, LEDs, push buttons and a prototyping board for easy connection of additional components and modules. 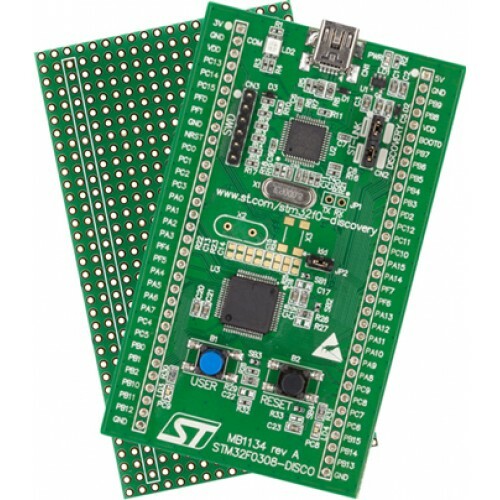 A large number of free ready-to-run application firmware examples are available on www.st.com/stm32f0-discovery to support quick evaluation and development. STM32F030 ARM Cortex M0 Dev BoardThis board is a STM32F030F4P6 Minimum System Board(Cortex-M0). The ..
Dev Board for ARM Microcontroller – STM32F103C8T6This board is low cost Minimum System Development B..